"In short, Williams wrecked the budget with tax cuts and overspending, and then left others to clean up his mess." For the record this is the same person who accused the Liberal's of using "magical math" during last Fall's Provincial Election. He was very critical of the bizarre/unrealistic expenditure sheet that Liberals released during the last week of campaigning to cost their election promises and their plan to cut costs and raise revenue. 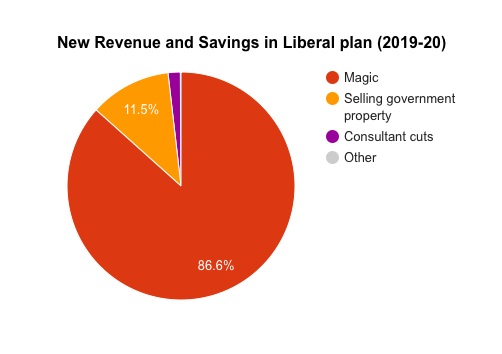 The Liberals offered a platform where they committed to cut "waste" ($383 million) with no layoffs, and money saved in education and healthcare would be spent on new programs. They also projected an economic miracle that would see the economy diversified and producing $359 million new dollars in four years.
" To some extent, everyone is promising the moon in this election. The Liberals seem to have thrown in a few planets to boot. It’s not realistic. It’s fantasy." Hence the so called "change election" where only 53% of the public bothered to cast a ballot.